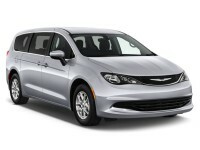 The Chrysler 200 Convertible, 200 Sedan, 300 Sedan, and the Town and Country Minivan. 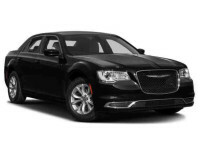 If it’s a Chrysler you’re wanting to lease, you’re in luck because we’ve got every new model they make. 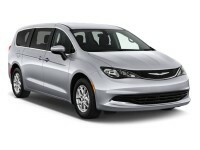 Or, if you’re not totally sure about leasing a Chrysler, you have all the options in the world because we also offer every new model vehicle made by Acura, Audi, BMW, Buick, Cadillac, Chevrolet, Dodge, Ford, GMC, Honda, Hyundai, Infiniti, Jaguar, Jeep, Kia, Land Rover, Lexus, Lincoln, Maserati, Mazda, Mercedes-Benz, MINI, Mitsubishi, Nissan, Porsche, Ram, Subaru, Smart, Toyota, Volkswagen, and Volvo, too! When it comes to inventory, we cannot be touched. And the same is true for prices, as well. You simply won’t find leasing prices like ours anywhere! We’re able to keep our prices low because we keep our overhead low. It’s a given that businesses pass on overhead costs to their customers, right? Well, with us, there’s just not so much to pass on. For ex., we don’t have a physical car lot, so we don’t have all the huge costs that go along with them. Property costs, property insurance, property taxes, utility bills – those sorts of costs go on and on, driving overhead up and up. Instead of having to pay such costs, we opt for having a virtual car lot, a car lot that sits on the internet, all ready for you to check out any time you like. A virtual lot allows you to do all your car shopping from your own home. No bumming of rides, no calling for cabs. It’ll be just you at your place, doing your car shopping through your computer any time you like, any day of the week, any time of the day or night. And check this out: no salesman will be shadowing you, following you around, rushing you along, steering you toward vehicles that are better for his commission than they are at suiting your needs. No one will try to sell you a thing. Ever. And if you have any questions as you go along, we’re just a phone call away, ready with the answers you’re after. Easy! When the time comes to think about financing, we make that easy and convenient, too. We’ll work directly with banks and other lenders to get you a deal you’ll love, a deal with low interest rates, low monthly payments, and terms you’ll be satisfied with. Heck, we’ll even handle most of the boring paperwork so you won’t have to! If your credit rating isn’t as good as you wish it were, don’t think you’re out of luck! We love often being able to get financing for people whose credit ratings have left them thinking they didn’t stand a chance – even for people who’d already tried to get financing before through some of our competitors and were disappointed. Don’t give up! Talk to us! When you get to take possession of your new lease – well, yes, you guessed it: we make that easy and convenient for you, too. You won’t have to bum rides or call for cabs when you lease with us. Instead, we’ll bring your car to you! Whether you want it delivered to your home, workplace, parents’ place – it’s all the same to u. Just let us know where you want it delivered and we’ll “get ‘er done”! If you have any questions for us, just give us a call at 860-740-0066! We look forward to meeting you – and to saving you lots of money while getting you mobile!